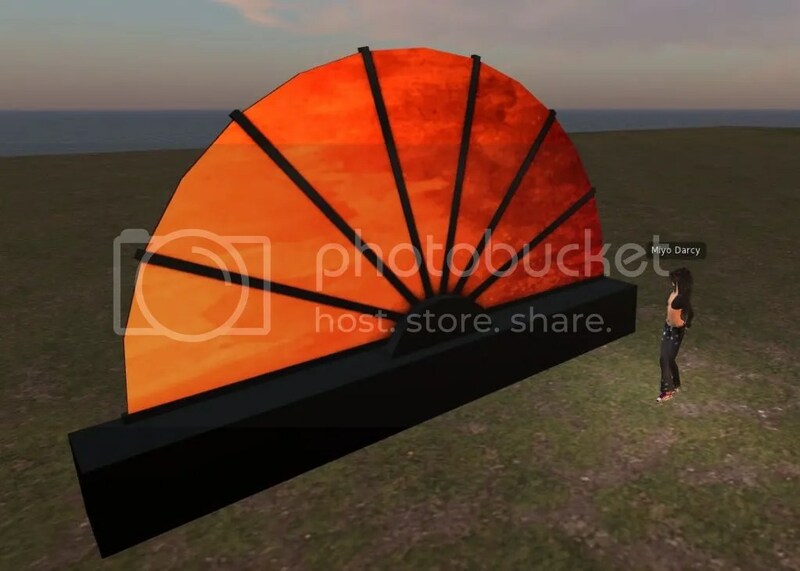 New Second Life Mesh Stage Lighting Trusses Builder Set for Clubs and Creators! New Second Life Stage Lighting Trusses Builder Set for Clubs and Creators arrived on SL Marketplace in Copy/Mod Edition for End Users and Fullperm for Creators! Attention! For the Fullperm Edition you must agree before buying: This product may not be distributed full permission. It’s intended use is for your personal builds. Any sculpt or combination may be sold as part of a build as long as they are not full permission. This is a Product you´ve been waiting for..
Did you dislike the Stage Light Trusses which aren´t physical.. rather made by texture fake? We will talk about a super realistic Club Lighting or Stage Lighting Truss building set now. Use it when creating stages or dancefloors and your guests will be amazed. But also smaller Clubs can afford to place this Product as they never ever need to much Trusses in meters. You want to be sure if you can afford to create something with this System? With these Components you can create a nice Truss-Structure for your Club or for other Projects as well. 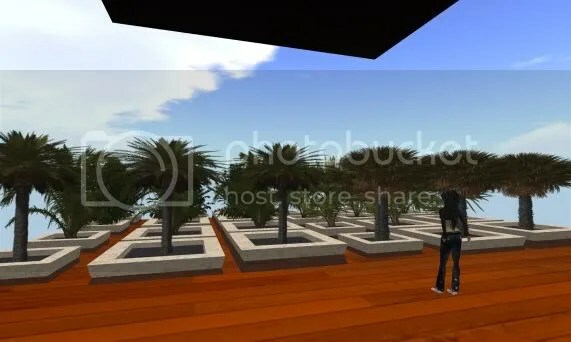 On the Marketplace Listing you can see also inworld screenshots. You should check it out as there is some more description of the Product and explained how easy you can create your own trusses with this Kit. 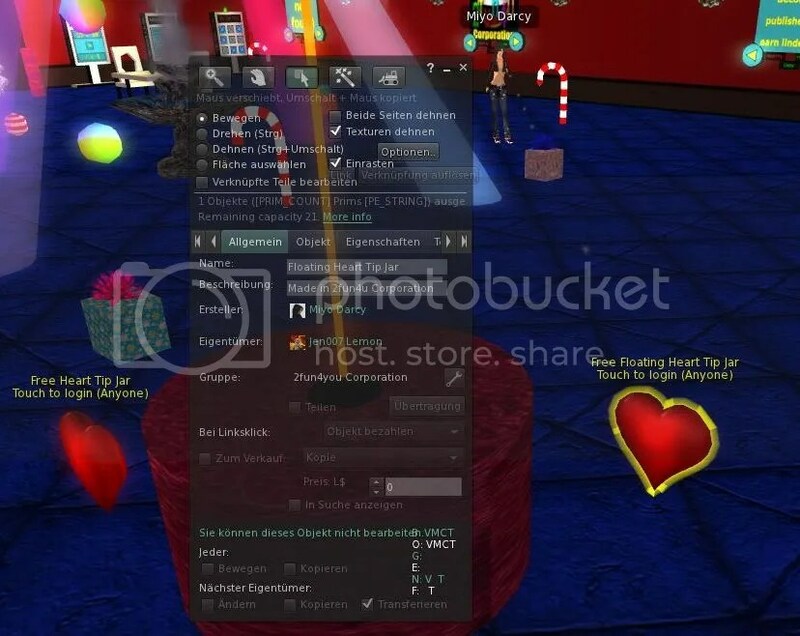 Also you can contact me when ever you like and I could show you the system inworld as well. Really.. dont be afraid to call me 🙂 I check my emails regulary. I hope this product will be usefull for you. I also hope you like this product. I am always open for positiv and negativ critism and ratings as long as it is fair. You can contact me whenever you have any questions. A MESH PRODUCT. YOU WILL NEED A MESH BASED VIEWER TO SEE THESE OBJECTS. (Soon when there are only Meshbased Viewers and when LL did shut down Version 1 based Vievers, this notice here will be outdated and everyone can see Meshbased Products). Greetings and enjoy your Second Life. Today someone in SL wrote me that one of my products wouldn´t work and he asked friendly for help. He talked about a Heart…. When someone asking me for help related to the Product with a Heart then I usualy think they mean my Heart Tipjar I made. This is the only Product I sell and made with a Heart Sculpy. So yea I am creator of my Tipjar and each component, including the Heart. But soon I noticed the guy who was asking for customer support didnt talk about a Tipjar but instead of that about a Xploder. And I can tell you I never made an Xploder. 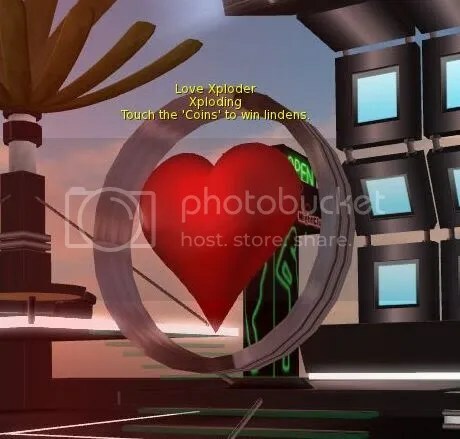 So what you see above is an Xploder I never made but I am the creator of the heart. Which means someone is unlinking my product probably out of the 0 L$ Tipjar Demo I have on the Marketplace. But the biggest problem is someone who ripped this heart is linking it so that I am the creator of her new product the xploder. So the person who was asking for customer support first didn´t believe me that I am not the creator of the xploder. But soon he did as I did show him my SL Marketplace Product List. Then I searched for something I found in the permission window.. “”REMOVED DUE TO A FALSE SUSPICION… see comment section””. Google helped me and soon I found the marketplace Store of this person. This person has some product with my heart and “only transfer” on the Marketplace. The fun thing is I never made this heart “transfer permission”. Which looks like she is using permission exploits and copybot. 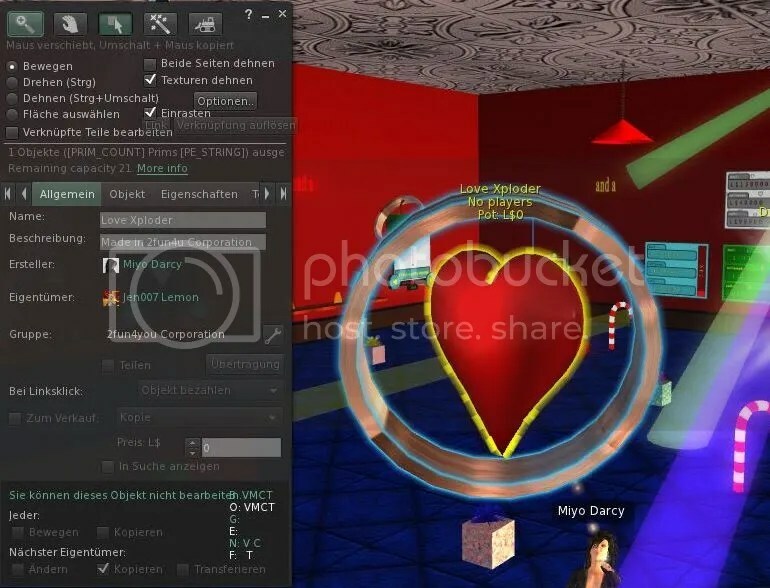 First I noticed she has not only some of my hearts on her Marketplace Store but she has also some of my hearts inworld with differend permission. Above you can see a screenshot of my heart in her xploder product with just “copy” permission. Its funny.. I never made it copy. The heart is in my product released as mod/copy. So she can defenetly change permissions of my objects which must be an exploit. Looking around there I found more of my hearts also with transfer permission. So I dont know what she is doing there but she has objects of me as transfer only and copy only permission. Again.. looks like she can change permissions on my objects and she can sell it. Otherwise there would come another person and asking for customer support for products I never made. I am the creator as she seems to be someone stupid and linking the objects so that my heart makes the whole object created by me. Sure I am pissed and sure I did write a support ticket. But we all know what LL will do.. maybe nothing. 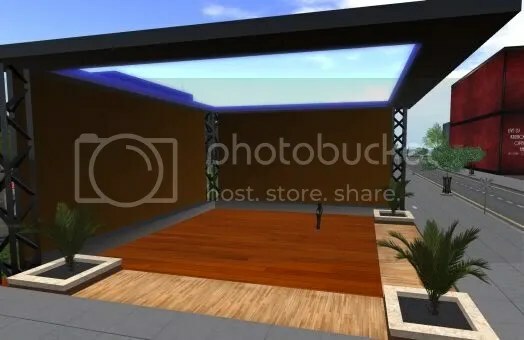 There is a new Room Divider for your Second Life Home or Place. This is a new modern Room Divider in Asian Fan Style. Just 4 Prims but with complexly nice shape. Baked Textures with Ambient occlusion (AO) and shininess. Good for Home, Garden, Clubs, Outdoor and there is many purpose for this Product. This is a fresh Product out of my latest Mesh Project I´ve been working on. I wrote a Blogpost about the Project. Playing with MoGraph MoSpline in Cinema 4d and creating differend mathematical spline clones and arrangements led me to new ideas of forms, shapes and so. Its funny which features of a tool can inspire me. After a while I had a formula which copys my object (the black crossbars) to 180 degrees like a half circle and first I associated it with those japanese fans if I would add a half and thin cylindric for the fabrics. I did but I am not sure how it happened.. I soon had a really differend inspiration. I just added a thin and long cube under the object and then I though it could be a pretty cool room divider. And so was my mission born. 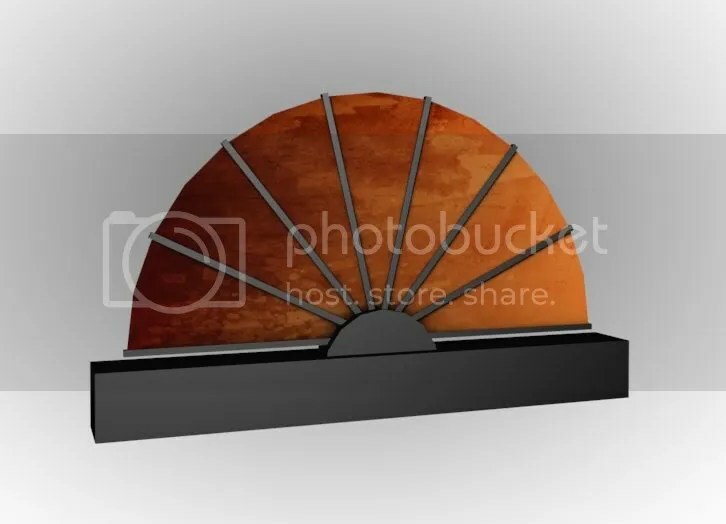 I still can create a japanese fan with those techniques some day but now I really want to create differend room divider from this idea first. I finished a beta object and exported it as collada file. I also created my own physical mesh which is just a single cube as this should be enough for a room divider. I logged in to the beta grid to check things out and make some test uploads. The end-product has a land impact of 4. I think this is really ok and made me somewhat happy. The overall product will be black with some little shinyness but only the fabrics them self will have textures and I believe I will create differend styled room dividers out of it. So technically I am already happy about the result. I just have some trouble baking the fabrics at the moment. I need to find a bug. The baked fabric texture looks ok to me but when I apply it inworld it is black. I dont know but I will find the problem I guess. When its finished I will upload it to my SL Marketplace Store. Use it as Club Architecture, Mall, Information Hall, Venue, Town Hall, Casino, Greenhouse or for other purpose. Freshly out of my Cinema 4d Mesh Project I talked about in my latest Blogpost. 2. Wait until the Initialization of the Tipjar is finished. It´s done when you see “All configurations loaded. Tipjar ready!” in your Chat. 3. First let´s customize your Tipjar now. Right click the Tipjar and click “edit”. 4. Go to the content tab. 7. Read carefully the configuration notecard. There you will find deeper Instructions and all about what you can change and how you do it. 8. After changing the configuration be sure that you click “save”! 9. Wait again until the Tipjar is initialized. The Tipjar will restart and initialize your tipjarconfig always if you changed and saved the config. But after that, the Tipjar is ready to use. When you made some Settings in the “tipjarconfig” File… and if you are happy with all Settings..
the Duplicates will now have the same Settings. to make these Settings again. But be sure that you only have one tipjarconfig in your Object. Q: The Tipjar is asking for Permission Debit. What the heck is going on? Can I trust you? if you trust the Creator of the Script you got. 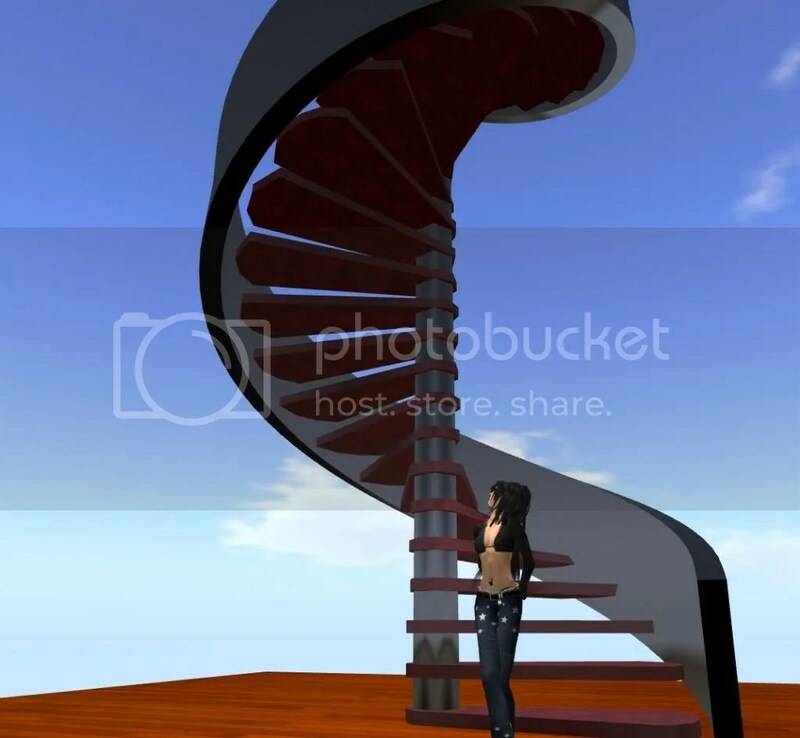 Today I just finished my new 10 meter high mesh spiral staircase for Second Life. already 6 Staircases in a very great design. white version. It has the word “DEFAULT” in its name. default (glow,shininess,brightness and so).for better starting from scratch. Every Staircase is 10 Meter high and it has rezzed 18 orim equivs (That means 18 prims). It is not sculped. It is a mesh product and therefor in high quality. Last few days I was often online on the Second Life Beta Grid. Just to check out all about mesh import. To get a little feeling for it. I made a spiral staircase but had a lot trouble with to much polygons. In fact I never did take care about polygons when I did work with my 3d application called Cinema 4d. I did not because my system is fast enough to handle those renderings I made. I did not create animations anyway.. just static pictures from objects I made. OK but we talk about mesh import for Second Life now. Its now all over the main grid and as objects should rather be low poly for games, I had to learn a new workflow then. So my first spiral staircase had 10k polygons which is pretty much if we talk about Second Life. Some friendly peoples in the forums gave me much feedback and many ideas. I reduced the staircase to 5k polys then. Thought its still much. Finaly I reduced it to round about 1k polys but I changed my first idea of the staircase… the whole thing changed a lot in that time. But 1k polys.. I thought this was now good enough to try a test upload. I just had the feeling that I made a good compromise between quality of the object but also poly count and later prim equivs. But then I had a next mission. What the heck is all that about physics? Gave me some headache.. no no.. I really do understand physics but my target was to learn how I can reduce PE. Friendly peoples told me about the solution to make own and hard poly reducs physic shapes to lower the PE. I made many trys for that solution but tose who told me about that all… they were a great help. I think thats what I like in Second Life. The community is mostly helpful and friendly. So.. Still on the beta grid I made tons of test uploads to understand that all. Its crazy how hard the PE value can vary depending on the physical quality and the LOD (Level of Detail). Much much trys but then I was happy.. all my tests and I had all values.. yea a PE of 100.. a PE of 80… ohhh PE of 50.. but then.. look! Finaly I got a PE of 17! I was now pretty much motivated and happy. I think PE 17 means this mesh is equal to 17 prims. Im not sure how others would judge at this point. But I reduced the PE from 100 to 17 and that made me happy. I just was so happy that I uploaded it to the main grid then. I know there are sculpy staircases out there with maybe 2 – 4 prims or so. I still wonder how to make these with sculptys. But at least sculting is anyway not my favorite art. I always liked mesh applications.. IN fact I dont know how to make a staircase with a sculpty software but instead of that I know how to do it with my 3d application.. So yes! I am happy with 17 prims for this kind of spiral staircase and I probably will use it in many new projects. Im not new to mesh but I am new to mesh import to second life.. so who knows.. maybe I can still improbe that PE someday.